Telemarketing is all about marketing goods and services through telephone calls. 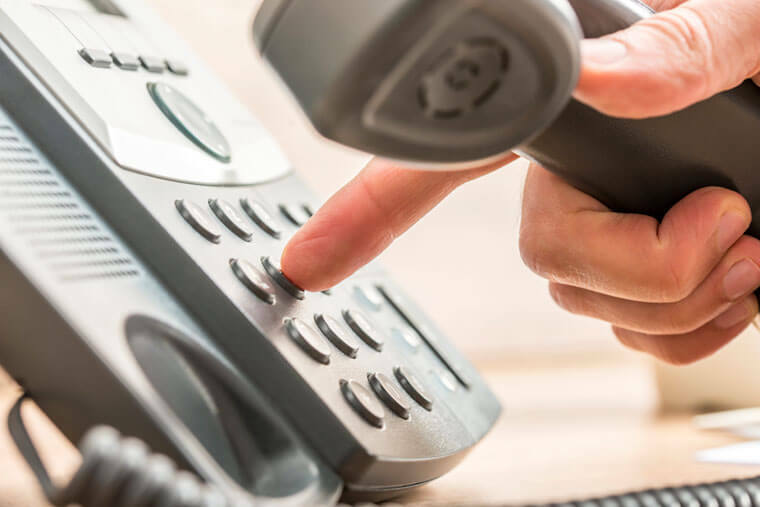 These calls made to potential customers or clients are typically unsolicited. In a B2B or business to business scenario, calls are made by one business to another for a commercial transaction. Telephone calls are used as a channel in business to business telemarketing either to sell a product or service or to build rapport with the other company. This service can also be utilised for either lead generation, event telemarketing, customer profiling or just for a follow-up to a business email. In B2B telemarketing, businesses can easily find and filter out people whom they want to have as customers. By making calls, they can also raise awareness about their brands and build credibility among existing as well as future clients. With effective business to business telemarketing, companies not only get to explore new opportunities in the market but also get to create relevant dialogs with their existing partners. All this helps in business growth to a great extent. Telemarketing is one service that a business cannot survive without. This is especially needed when a market is highly competitive. From maintaining profitability to providing an influx of quality leads, there is a lot that this service has to offer. With the help of targeted telemarketing campaigns, high volumes of quality prospects can be obtained. However, an experienced team will be required for the same. This is the reason why many companies choose to outsource this requirement to an independent telemarketing firm. By employing the services of an expert team, businesses can boost their performance to a great extent. The first and most important thing to do is to set your goals. There are several ways in which telemarketing services can be used by a business. For instance, a company can use it for generating leads for the sales team or for supporting other marketing campaigns. So find a goal that will work best for your company and design the telemarketing campaign around it. Then comes the forecasting and budgeting. You need to make an estimate of the call volume and also think of the hours of operation and fluctuations in call volume. On the basis of call volume, you will get to decide the headcount, phone systems, software and office space that you will be needing. These requirements will help you in deciding if you should handle it in-house or outsource B2B telemarketing services to a third party. If you want to handle this task in-house, then you will have to set aside a budget for everything, including the software licenses, management, bonuses and headcount. Development of a good script is mandatory if you want your B2B telemarketing campaign to be a success. You will need telemarketers who are experts at capturing attention, building value and closing the call on a positive note. If the campaign is being handled in-house, make sure that the script being developed is simple, conversational and focused on the end goals. Don’t forget to get feedback from the team when the script is being developed. Then comes the step of training and coaching the telemarketers that you have hired in-house. It is important to guide the telemarketers through calls so that they can improve their performance. Make sure that you are getting the reports and use the reports to evaluate the progress consistently. This will help in improving your campaign to a great extent. B2B telemarketing is often not utilised well in the business to business marketing plans. Since everything boils down to execution, it is very important to have a team of experts handle this task. The main purpose of business to business telemarketing is to generate interest, build strong relations with other companies, encourage additional contacts and so on. In this scenario, calls are made directly to the decision makers in the potential company. At times, B2B telemarketing services are also used for gathering information from clients or potential clients so that the company’s procedures and processes can be improved. It is important to remember that good results from B2B telemarketing will take time. According to a survey, it takes at least an average of 80 calls for developing a new opportunity. Depending on the sector, success rates vary to a great extent. So business owners should analyse their own telemarketing team’s call conversion rates for setting future goals and managing expectations. You need to be extra clear about the objectives of your campaign on a macro as well micro level. Only when you are clear about what you want, you will be able to obtain the desired results. The telemarketing process needs to become a part of your overall marketing strategy. It needs to be present in the marketing mix so that its benefits can be reaped accordingly. You cannot achieve success with your B2B telemarketing campaign if you are not implementing the right KPIs such as opportunities per day, calls per day and so on. Make sure your sales representatives have a solid database ready to use. It is important that you are investing time and resources into building this database for them. Having an accurate database of target audiences is very important if you are executing a B2B telemarketing campaign. Lastly, the success rate of your telemarketing strategies needs to be tested, retested and analysed in order to find the best ones. Patience is the key to success in telemarketing. If you are not patient, you will not get results. It takes time to engage and convert prospective customers, so you cannot expect results within days. Also, make sure you are researching and comparing two to three service providers before hiring one for your business. Be it B2C or B2B telemarketing company, it is very important to know whether or not the telemarketing activities are producing the desired results. Be it outsourced or in-house, it is necessary for business owners to understand how to measure performance. This will be needed for identifying and solving underlying problems that can affect the end result of the telemarketing campaign. In case of B2B telemarketing company, you need to know how many decision makers have been identified or confirmed. Even if the initial calls being made by the telemarketers are not resulting in a big number of decision maker speak-to rates, every call should include building up the data your business is holding. While it is easy to purchase data with specific decision maker details, each call can be used to enhance the details and refine the details to make them more relevant.